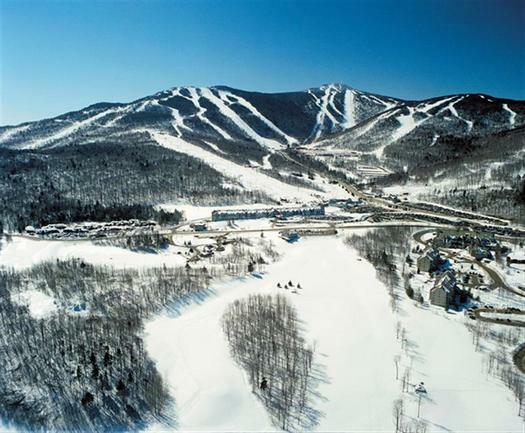 Killington Resort, known as “The Beast of the East,” is open for the 2011-2012 winter season and ready for skiers and riders! Nestled in the heart of Vermont’s Green Mountains, Killington’s elevation delivers optimal temperatures for snowfall, whether from Mother Nature or made by 2,000 snow guns across the resort. Terrain is expertly groomed, providing riders of all ability levels a choice of diverse skiing areas, including wide-open or narrow runs, moguls, steeps, and 16 tree skiing areas. 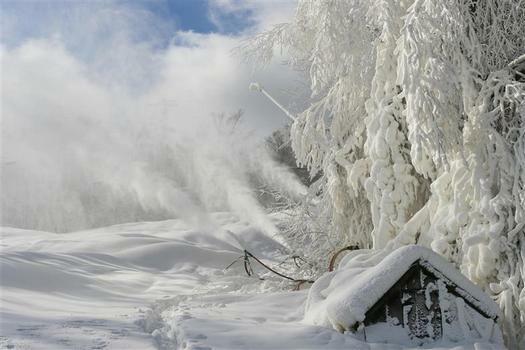 Killington also offers multiple terrain parks for snowboarders and freeskiers, as well as off-mountain activities like the all-new, lift served Killington Tubing Park; dog sledding; cross country skiing; snowshoeing; ice skating; and snowmobiling. There’s something for everyone, whether you’re an experienced skier or are looking to get the kids involved in a new outdoor activity. Killington offers quality equipment rentals as well as lessons to help you make the most of your time. As you learn, explore access to Killington and Pico Mountain’s 190 trails and 29 lifts – all with the purchase of one lift ticket. Killington Resort also represents more than 100 fine properties throughout the Killington region, from slopeside full-service hotels, to charming country inns, condominiums, town homes and single-family homes. The Killington Resort’s Central Reservations team can provide you the best value, local knowledge and insight to plan your complete vacation experience to the largest ski and snowboard resort in the East. Learn more here. 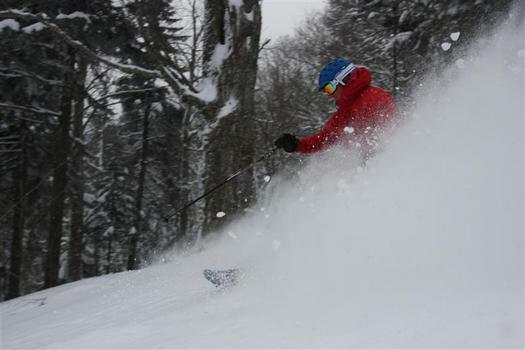 Killington is a winter wonderland of activities for the whole family. Be sure to peruse hotels and other amenities at the resort, as well as more than 100 restaurants, bars, and shopping options throughout the region to turn your time on the trails into a full getaway. 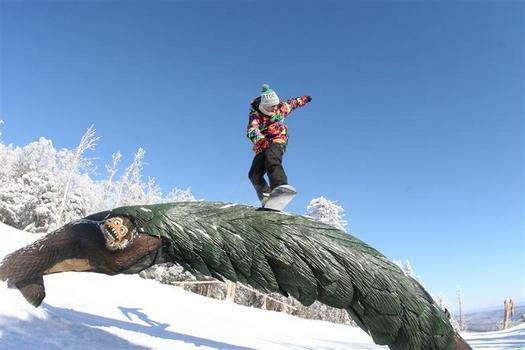 Plus, check out events coming to Killington this 2011-2012 season, including four action-packed Dew Tour dates and the Nor’Beaster in March. One (1) lucky LAB family will receive a family 4 pack of lift tickets ($400 value)! Become a fan of LAB’s Facebook Page. Then leave a comment on the wall saying you entered the Killington VT Family 4 Pack giveaway. Tweet this message: “Hope I win the @KillingtonMtn Family 4 Pack giveaway from ladyandtheblog.com (@verasweeney). RT to Enter #contest #giveaway”. Fan Killington Resort on Facebook and leave this link on their wall saying you are entering the family 4 pack giveaway on ladyandtheblog.com. Visit Killington’s YouTube Channel and leave this link in a comment saying you are entering the family 4 pack giveaway on ladyandtheblog.com. Post a link to this contest on your blog (and then leave a comment on this post with your link). Stumble this post (not the site) and leave me your StumbleUpon Name in your comment. Comment on other Lady and the Blog posts and reference this contest. Be sure to add that the comment is acting as an entry to the contest. Each comment counts as one entry. Please be sure to include you email when asked otherwise I won’t be able to contact you. Sign up for LAB’s newsletter. Are you already subscribed? Leave a comment letting me know. Winner(s) will be selected at random. Previous Post: « My Favorite Pizza: Have You Tried It? Entered via the contest entry form. Left a comment on Lady and the Blog’s Facebook Page. I entered via the contest entry form. LAB FB fan, and commented.